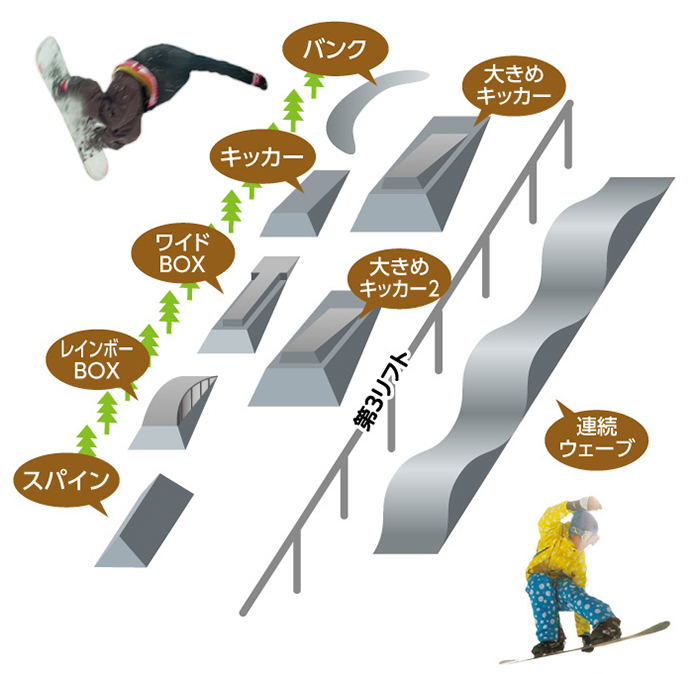 Tangram Ski Circus (スキー場：タングラムスキーサーカス) enjoys a wonderful position at the base of Mt. 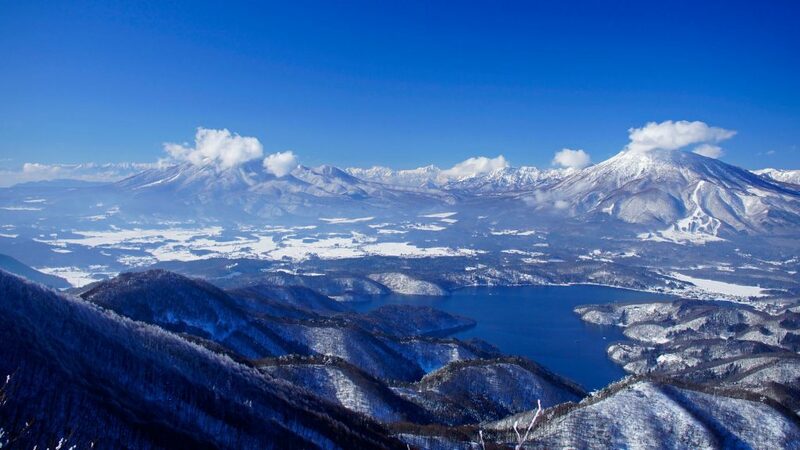 Madarao – overlooking Iiyama & Nozawa Onsen in one direction and, on a clear day, the spectacular mountains of Myoko Kogen and the Japan Sea in the other. Tangram is only is a small-medium sized deluxe ski resort but offers skiers and snowboarders an impressive 520 metres (1706 feet) of vertical descent. Madarao-Kogen Ski Area is connected to Tangram Ski Circus Resort at the top of the mountain and a joint ticket is available to let you ski or snowboard both. 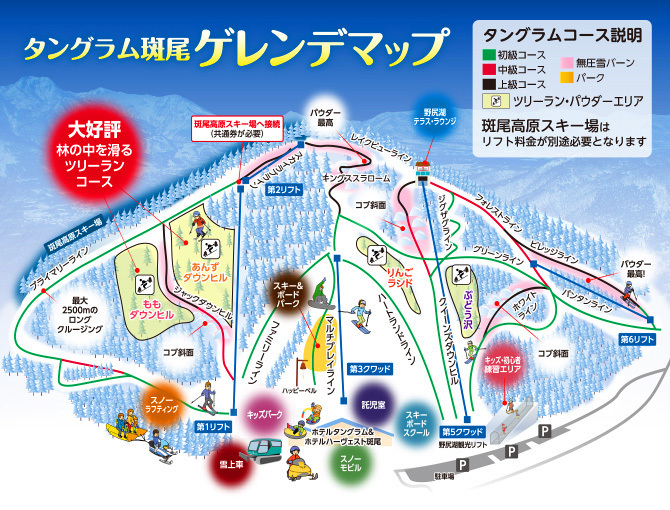 The resort features a Western-style hotel (see places to stay), a bright restaurant area with big windows overlooking the slopes, a snow mobile track, an indoor swimming pool and onsen, plus a health club and games arcade. 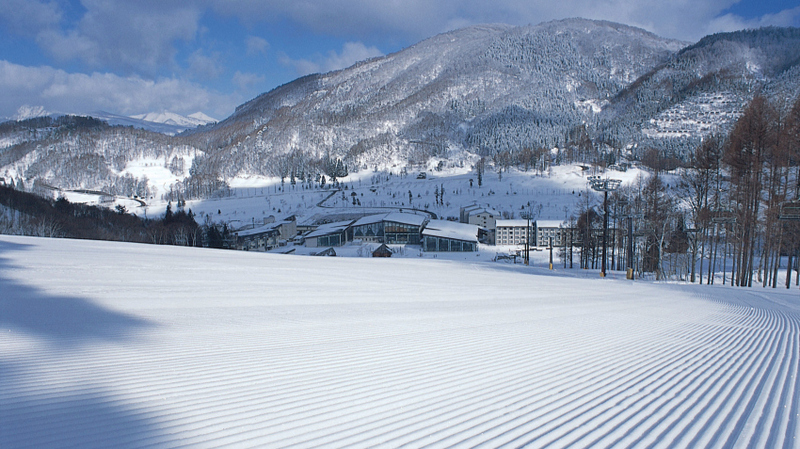 Ski rental is available at Ogasaka Friendly Centre, whilst there are ski lessons available for kids and juniors. Tangram Ski Circus is best suited to a range of skiers and snowboarders with it’s excellent wide, open runs that are never very crowded. For advanced skiers there hasn’t been a lot of challenge in recent years apart from a punishing mogul run. However in 2016 they began opening new tree runs and relaxing off-piste rules thereby encouraging more foreign skiers to visit the resort. For park rats and kids there are facilities available (as below). 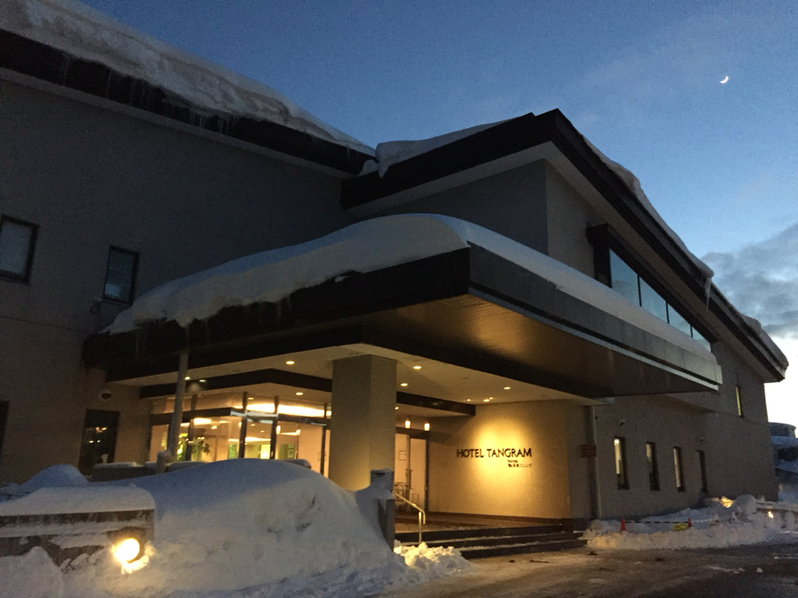 Tangram provides an ideal base for two days of skiing (by itself, even more with adjoining Madarao Mountain Resort) after which you can explore the slopes at nearby Myoko Kogen as well as Nozawa Onsen. 3,200yen 2,800yen 2,500yen Valid 4 hrs from purchase. The Tangram Hotel is a high-end, mountainside resort, overlooking surrounding the ski lifts and slopes. Featuring sitting areas with sofas, the refined rooms come with free Wi-Fi and TVs. Some rooms have traditional features such as chabudai dining tables and tatami floors. The hotel has an elegant restaurant featuring floor-to-ceiling windows and a fireplace. 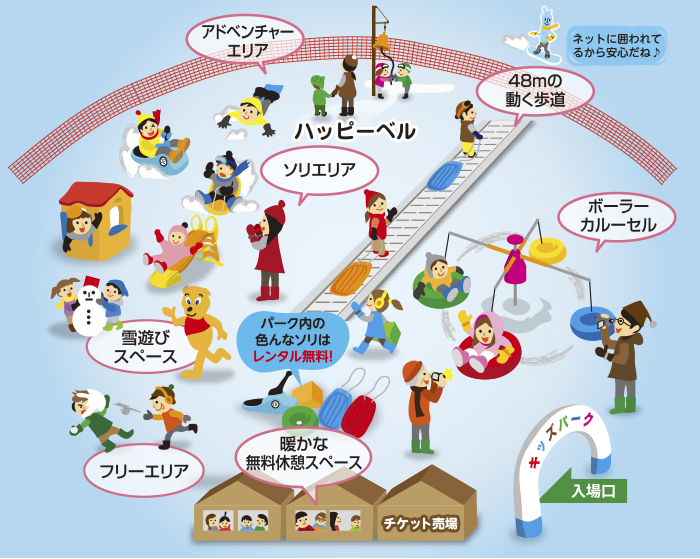 There's also an indoor pool, a game room, tennis courts and an onsen, a bathhouse with natural hot spring water. Parking is complimentary. Check here for other Tangram Ski Resort accommodation. Train: Twenty minutes from Myokokogen Station on the Kita-Shinano line, or thirty minutes from JR Iiyama Station (Shinkansen stop).